LAS SECTAS EN EL MUNDO: SIMBOLISMO ILLUMINATI PUESTO COMO RED DE PODER EN EL DISEÑO URBANÍSTICO EN WASHINGTON D.C.
Los Illuminati y los masones que tienen su sede principal en la Ciudad de Washington, en los Estados Unidos, ellos diseñaron simbólicamente el trazo de la ciudad; la ubicación de la Casa Blanca con sus jardines e instalaciones; el mausoleo a Abraham Lincoln y la posición que tiene sentado al estilo del demonio Baphomet; la ubicación estratégica y simbólica del “Obelisco” -que es la “representación del pene del demonio Rhá, del culto fálico de los egipcios-; el diseño simbólico del Pentágono y su ubicación; la ubicación geométrica y estratégica del Templo de los Illuminati, todos ubicados y diseñados en una posición estratégica de lo que podemos identificar como una Red de Poder demoníaco en el corazón y sede de poderes de los Estados Unidos de Norteamérica, que ha sido sembrada en la Capital de los E.U.A. 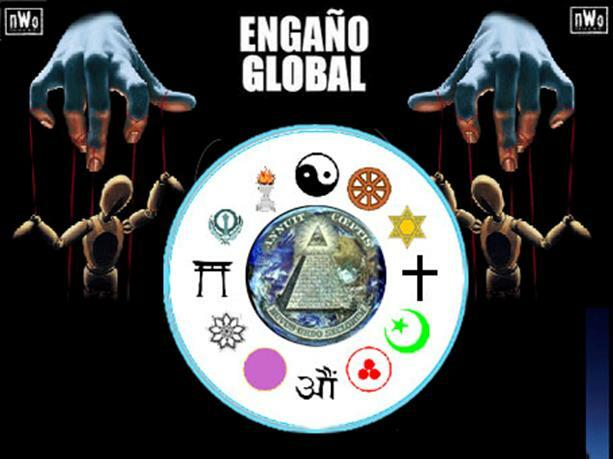 El demonio que domina sobre el Pentágono se llama “Apolión” –en griego- o “Destroyer” –en inglés-; además de Satanás y otros demonios poderosos para la guerra y la conquista de las Naciones en el Mundo, como parte del Plan de los Illuminati, de la masonería, de la secta Skull & Bones, la Fraternidad de la Campana, los Trece linajes de Satanás y del Priorato de Sión judío para llevar al Anticristo Maitreya Raj Patel a gobernar el Mundo, bajo la plataforma del Nuevo Orden Mundial (Novus Ordo Seclorum) y de una iglesia opuesta a la Iglesia Católica denominada por Maitreya como la Iglesia Universal, integrada bajo un “simbolismo sincrético” como puede verse en la página del mismo anticristo. Quote from "The Secret Teachings of All Ages", pgs XC and XCI - "European mysticism was not dead at the time the United States of America was founded. The hand of the mysteries controlled in the establishment of the new government, for the signature of the mysteries may still be seen on the Great Seal of the United States of America. Careful analysis of the seal discloses a mass of occult and masonic symbols chief among them, the so-called American eagle. .....the American eagle upon the Great Seal is but a conventionalised phoenix...." End quote. Emphasis added. Now, what is a phoenix? It is a mystical bird that rises from man's first attempt to set up a similar system of One World Order, namely 'the Tower of Babel'. 2Referring to the New World Order, the 'Weekend Australian' newspaper, 1st September 1990, printed the large headline - 'How to make our tower of Babel work properly'. Sometime later, Margaret Thatcher passed the comment when referring to the European Union aspect of the New World Order, that ".... it was an even more utopian task than the building of the tower of Babel. At least, when they built the tower of Babel, they all started speaking the same language...." End quote. These planners are obviously very aware as to what they are doing. However, Manly Hall isn't finished with his explanation yet. Let us read on. "Not only were many of the founders of the United States government Masons, but they received aid from a secret and august body existing in Europe...." (Break quote.) Please read slowly and thoughtfully. ".... which helped them to establish this country for A PECULIAR AND PARTICULAR PURPOSE known only to the initiated few." (Emphasis added.) Break quote - Who are the initiated few? The Elect, the Sages, the Adepts i.e. men who have gone well beyond the publicly known upper degrees of Freemasonry. Now you can understand why Blue Lodge Masons get excited and violently angry when they first hear this information. They were very unwise not to seek out this occult aspect before joining. Look at the pyramid structure of Masonry. Therefore, any Mason reading this information, must realise that if you have been admitted to any degree in the blue or red Lodges, this knowledge is not for you to know. If you think this chapter contains strong material, just wait until you finish the following section. Question: What is the 'peculiar and particular purpose' for which America was established by occultists and Masons? It is very important to realise that the U.S.A. was created to lead us into the New World Order, whilst Russia would apply the pressure that would make all that possible. This is the Hegelian dialectic in operation i.e. Humanity is to be convinced through fear of the need for a One World Government. Then they will sacrifice national sovereignty of states. Hence, wars, terrorism, military aggression, are made to occur, and even proliferate just prior to the new millennium. However, just to prove that we are not speaking out of order here, let us take only two examples to prove our point. At the base of the pyramid is the date 1776 written in Roman numerals. Remember, this does not stand for the U.S. Declaration of Independence on July 4th, but rather for the inauguration of the Illuminati on May 1st. Just as a matter of interest, who else appreciates this date? Witches and top men in secret societies are initiated into upper degrees on this day, and communists always have their May day parade. a. Place M at the apex of the first pyramid. Now place D & C on the base line. b. Place C at the apex of the second pyramid. Place L & X at the base line. c. Now, place X at the apex of the third pyramid and place V & I at the base line. Add all the numbers along the base line. They equal 666. Where else do we find this number? Are you aware that there is an ancient prophecy written by a man called John, who was banished by the Roman authorities to a Greek Island called Patmos? He speaks of a one world political leader who arises at a certain time in history. This man is called by a number of names, one of them being 'The Beast'. There is also another religious man who is predicted to arise and he is called 'The Second Beast' or 'The False Prophet'. In the light of the esoteric mystical numerics shown above, it is now imperative that we link this information with the prophecy dated 96 AD. 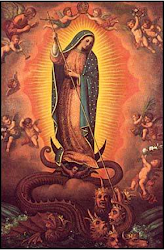 Remember this prophecy was predicted in the book of Revelation 13:16-18 in the year 96 A.D. and is being fulfilled between the years 1990 and 2000. 3Verse 16 - "And he causes all, both small and great, rich and poor, free and bond, to receive a mark in their right hand or in their foreheads." Verse 17 - "And that no man might buy or sell, save he that hath the mark, or the name of the beast or the number of his name." Question - "Do we know the number?" Get ready - yes, you guessed it. Here is Manly Hall again. "....The Great Seal is the signature of this exalted body - unseen and for the most part unknown, and the unfinished pyramid upon its reverse side is a trestleboard, setting forth symbolically the task to the accomplishment of which, the United States government was dedicated from the day of its inception." (Emphasis added). End quote. How are your emotions at this point? Frightened - stunned - baffled - confused - angry? Let me be very frank. This author becomes very upset at revealing this information as he has many special friends living in that great country - the United States of America. However, the truth must be told. Whilst visiting another country, I spoke at a Presidential breakfast on these subjects and in the middle of my address, one of the diplomats present arose and along with his wife, stalked out of the conference room, obviously muttering unspeakable phrases. The other diplomats wisely kept their seats as they represented 8 other sovereign nations who desperately need this vital information. The newspapers in Australia and New Zealand made a big deal of this drama of course. Let's face it - the plan is so clever, and the information so vast and devilish, that unless it is presented in a logical manner, you are written off as having psychological problems. The offended diplomat was duly sent a copy of my book 'P.S.' but it probably got no further than his secretary. Poor man - the old 'ostrich with its head in the sand' trick. You may establish the veracity of this information by photostating the seals and placing them on a transparency. Then cut the transparency in half and place one circle on top of the other and you will be amazed to find that by carrying out these instructions various esoteric messages appear. 4A friend of ours here in New Zealand, also an author and a researcher, Bruce Cathie, has written a number of exciting books on subjects hidden from the majority of the populace. His area of expertise is harmonics, and his books are worth reading for his highly detailed mathematical formulae. Bruce Cathie tells us that Washington D.C. was built on a reclaimed swamp. He also reveals that with regard to harmonics in communications networks, this city is exactly where it has to be. The harmonic communications link ups are absolutely amazing between, for example, the White House, the Pentagon, the Russian Embassy, the Naval Bases, etc, etc. Not only that, when the Freemasons and occultists designed Washington D.C., they incorporated their masonic symbols into the streets of the city. The masonic compass and square are actual streets, as are also the streets making up the satanic inverted pentagram, inside which, the goat's head is placed. I showed this map to a leading Mason, who replied "It must have happened by accident." Of interest is the fact that the goat's horns fit into the two top areas of the pentagram, his face in the middle, his ears to the sides but please note where the beard stops - right at the White House. Where does the other end stop? You guessed - right at the White House, so ultimately, let's face it, the President of the U.S.A is spiritually affected from at least two areas of the occult world. Therefore, is it not reasonable to assume that the city of Washington D.C. is under a terrible Luciferian curse? 5As I write these lines on the 25th April 1995, there is in front of me on my desk, a cutting taken from the 'Australian' newspaper dated 19th April 1995 (6 days old). The bold headline reads "Clinton steps in to rescue Washington. President Clinton yesterday authorised a partial federal takeover of the nation's capital hoping to stop the embarrassingly crisis-ridden city from sliding into financial collapse. ....Mr Clinton yesterday signed 'legislation' to create a five member oversight board with broad powers to sack thousands of city workers and control spending by the mayor of Washington, Mr M....n B....y and his city council. "....the mayor and council have been forced to concede that they can no longer finance all of the schools, prisons, hospitals, and other services over which they won control. The new control board has been described in Congress as the strictest financial oversight, ever imposed on a U.S. city...." End quote. As I revised this section of the manuscript during the month of August 1995, the previous paragraph, spoken prophetically in the month of April, began to turn into history in the month of July as the U.S. Congress visited New Zealand to learn how to restructure and to follow the New Zealand model (see elsewhere in this book for further proof). Through books like this one, the general populace are beginning to ask questions right across the world. 1. Why is there a pyramid on the U.S. dollar bill? 2. What does the eye represent? 3. What is the meaning of all those Latin words? In the light of all these questions it would appear that the enemy, Lucifer, has had his cover blown. How can these secret world-manipulators stop people asking these embarrassing questions? Remove the dollar note of course. The plan is too far on now, to be spoilt by a lot of inquisitive people demanding answers. 6A short time ago, we were in London where I picked up a copy of the London 'Times', 19th April 1995. Please note the headline - I almost flipped out. "America weighs up demise of $1 bill. In their drive to restore America's greatness, Washington's Republican revolutionaries are seeking to abolish the ultimate symbol of their country's global supremacy, the "greenback". ....N....t G.....h and his fellow Republicans want to do away with the world famous dollar bill and replace it with a coin. ....Fighting to abolish the dollar bill is the "Coin Coalition" comprising vending machine companies. Currency experts also point out that America is one of the last developed countries to retain a banknote worth so little -- barely 60 pence (Great Britain). In fact, America has had a dollar coin for much of its existence. The silver dollars lasted until 1965, although the "greenback" introduced in the 1860s was the more common currency." End quote. (Emphasis added). As I have mentioned before, the US$1 did not bear the two Illuminati seals until 1933 when the top degree Mason, Franklin Delano Roosevelt, authorised their printing. I have a note in my possession dated 1928 - no seals! I have in my possession a note dated 1935 - 2 seals! Whilst travelling on a river boat up the Mississippi River with some friends of ours who happened to be linked with the Freemason's Lodge, I brought out these two US$1 bills and very swiftly silenced their protestations. 1 See footnote chapter 4. 2 Weekend Australian; 1st September 1990. 3 Revelation 13:16-18; The Holy Bible. 4 The Bridge to Infinity - The Energy Grid and Harmonic 371244 by Bruce Cathie; America West Publishers, P.O. Box 986, Tehachapi, Ca 93581, U.S.A. Ph: (805) 822 9655. 5 Australian Newspaper; 19th April, 1995. 6 London Times; 19th April, 1995. Please refer once again to level nine on the Masonic pyramid. We have already learned of the Palladium under the date 1870. 1In the month of January on the 21st day in 1870, an Italian mason, named Mazzini, wrote the following note to the American mason, Albert Pike. We quote in part - "....we must create a supreme rite WHICH WILL REMAIN UNKNOWN, to which we will call those masons of high degree." End quote. Early in 1996, we were interviewed on the Gold Coast, Australia, and the videos subsequently went to air. The majority of viewers thought the programmes were great, but some folk called up and denied that there was any such degree as the Palladium. All this did was to further reveal their ignorance. I'm so sorry to shatter your illusions in this way, but I must. You will understand that at a date determined by Almighty God in the not too distant future, this author and all other human beings will be embarking on a journey through a dark valley, yet there is one who has promised to guide us through. It is my duty therefore, to inform you as to the results of my investigations on YOUR BEHALF. I just cannot bear to think of any man, whoever he may be, writhing and screaming out for mercy on his death-bed, when I had the information which could have set him free. If you have risen even to the degree of Master Mason in the Blue Lodge, or possibly only to Fellowcraft or Entered Apprentice, you now understand that you are an object of laughter and derision to those above you, who have BRANCHED OUT into the Royal Arch or other avenues. Esoteric Masonry, which is never discussed or even alluded to in the Blue Lodge, is in complete control of all the degrees in every Lodge. Over the years, we have seen a number of 32nd degree men come out and be set free through the power of the true Light i.e. the Lord Jesus Christ, yet one such 32nd degree man in South Africa, in spite of my warnings, was so deluded and determined that within one month of our meeting together, proceeded on up to the 33rd degree. May God have mercy on his soul. 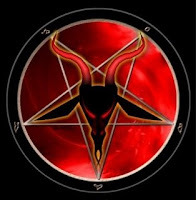 We outline herewith the esoteric groups in Europe which remain anonymous to the vast majority of Freemasons who remain in deep spiritual darkness. To any men who are in the 33rd degree or lower, just look where you are placed on the pyramid. Please, at this stage, pick up your US$1 bill and recount the layers of stone on the pyramid on its reverse side. Did I hear you say 13? g) find himself repeating blood-curdling witchcraft oaths whilst at the same time drawing his right thumb across his throat, and mumbling out some words about having his throat cut, and his tongue torn out, etc etc. Sickening isn't it? Why, even your small son would be struggling to exhibit such crass stupidity. Some say it is merely a game or a charade. Ask any witch! However, it gets worse. He then blasphemes against Almighty God in Heaven by sealing this demonic witchcraft oath in the kissing of the Bible. To add insult to injury, he then defends himself against any critics by repeating the senseless cliche which has been taught to him -- "It was not for real. I didn't really mean what I was saying. It was merely symbolic." My question is - "Symbolic of what?" It is my unfortunate duty to now inform you that in any court of law, you would be charged with perjury, and according to the Word of God, you have just put a demonic curse on a) yourself b) your wife c) your children d) and your descendants to the third and fourth generations. This statement applies to all men; actually more so to ministers of religion, priests, deacons, elders, and church members, who should have known better and investigated this devilish aspect before joining. It will now become apparent to all readers, that it is for this reason that some so-called Christian churches are struggling. In their ignorance, they have allowed witchcraft advocates into positions of leadership. Some churches' foundation stones were laid by the enemy's men. These dear, ignorant mis-guided men have damned themselves with their own lips. How would you like to have a man guiding you in your spiritual life who has done and said such horrible things? But wait, it gets steadily worse. Mazzini's and Pike's communications show us that every Freemason's Lodge is under the direct influence of LUCIFER. That's correct Sir! Even your Lodge and it matters little whether it is in Europe, the Americas, Africa or Asia. In simple language, I suggest you ask your minister or priest if he is a Freemason. If so, give him this ultimatum. "Either you resign from the Lodge, or I leave your church!" 1 Occult Theocracy by Lady Queenborough; page 208. 2 Exodus 20:3-5; The Holy Bible.